Details: 2 Bedroom, 2 Bathroom with more than 1,200 square feet. 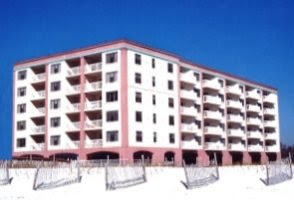 Info: Beautifully furnished 2 bedroom 2 bathroom condo at Sandy Key in Perdido Key with unobstructed views of stunning sunrises and sunsets. Upgraded cabinetry and fixtures, all stainless steel appliances. Relax and unwind on private gulf front balcony that can be accessed from both the living room and master suite.